On Day 27, we have two Raijintek bundles in the goodie bag. First prize is an Asterion aluminium chassis in black plus an Orcus 240 all-in-one CPU cooler. Second prize is an Asterion aluminium chassis in silver plus an Orcus 140 all-in-one CPU cooler. The competition winner will be picked at random from all eligible entries that arrive by 09:00 London time on the closing date, January 12, 2019. 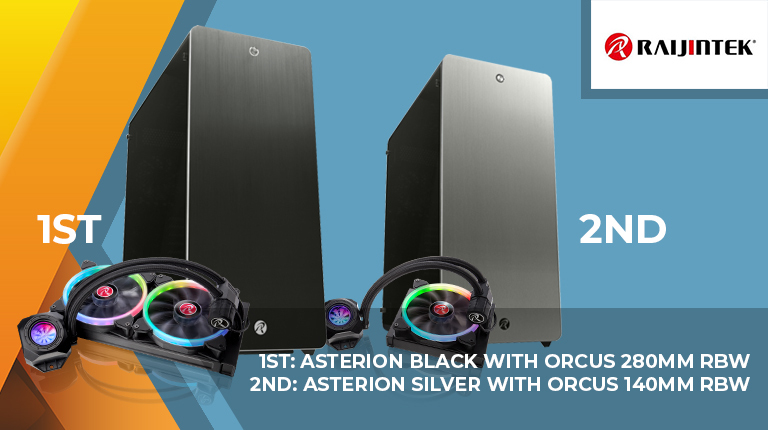 First prize is an Asterion aluminium chassis (black) and an Orcus 240 all-in-one CPU cooler. Second prize is an Asterion aluminium chassis (silver) and an Orcus 140 all-in-one CPU cooler. Many thanks to Hexus and Raijintek. Thanks again Hexus and thank you Raijintek.